Data mining is one of the key processes used to sort large sets of data to recognize specific data patterns, and identify useful business insights, and relationships between different parameters. This information can be used by organizations to solve critical business problems and take informed decisions to improve the quality of services and serve customers better. Data mining is one of the most misunderstood concepts. It's an advanced technique which leverages a wide range of tools, technologies, and computer aided data analysis using huge data sets. This article aims to highlight salient data mining techniques, applications, and its importance for businesses. Data mining techniques are leveraged in the industry for research purposes in cybernetics, mathematics, genetics, marketing, etc. Being an important application today, there are numerous useful tips for effective data mining from the specialists that help businesses make the most out it. If data mining is utilized in the correct manner, data extraction has the capability to drive high efficiencies and predict the customer behavior in the future and help companies to stay way ahead of their competitors. This is very useful when you need to identify which customers are likely to purchase your products, find valuable customers, or customers who respond to a certain type of marketing strategy, etc. This is used to identify new customer segments, find similarity in genetic segments, grouping similar sites, segregating population structures, etc. This method is mainly used to find any kind of anomaly in the identification of tax fraud, credit fraud, etc. This method can be used to predict the effect of the real estate market on the GDP, customer lifetime value resulting from loyalty, etc. The main examples of using this method include finding factors associated with the best-performing employees, finding factors which are associated with customers who react to certain marketing strategies, etc. 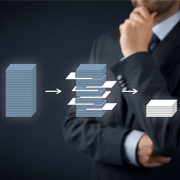 The most common applications of this method are pattern recognition, data compression, latent semantic analysis, etc. Data mining mainly focuses on extracting meaningful information from large sets of data and transforming it into an easily interpretable format for further analysis. 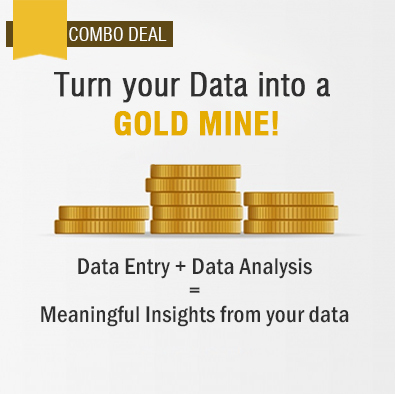 Businesses can leverage the power of data mining to improve their business processes. Businesses can use handy tips for successful data mining across different industry verticals, and make their business a success. Outsource2india is a leading company offering a gamut of outsourcing services including data entry, data mining, data deduplication, data cleansing, data processing etc., for over 20 years. Our vast experience of having worked with clients from different verticals helps us cater to diverse client requirements within a quick turnaround time at affordable rates. Our team of data experts has the required skills and expertise in technologies such as SAS, SPSS, OLAP, Microsoft Data Mining, etc. to provide our clients with the best-in-class services. If you are looking for a data mining service provider who can add value to your operations, then you have come to the right place. Just get in touch with us to discuss your requirements.